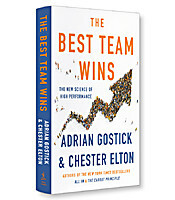 In The Best Team Wins, Gostick and Elton use the results of more than 850,000 employee engagement surveys to develop their “Five Disciplines of Team Leaders.” They explain how to recognize and motivate different generations to enhance individual engagement; ways to promote healthy discord and spark innovation; and techniques to unify customer focus and build bridges across functions, cultures and distance. They’ve distilled their breakthrough findings into a succinct guide that business leaders everywhere will find helpful. 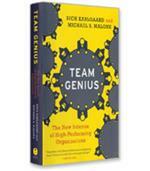 In The Best Team Wins: The New Science of High Performance, Adrian Gostick and Chester Elton present results from a study of 850,000-plus employee-engagement surveys. Their objective was to identify the key disciplines that team leaders must develop to manage teams in today’s business environment. This offers a mixed blessing. Companies that learn how to manage their teams effectively can gain access to that promised productivity, but for those that don’t, the downside will be catastrophic. There is no middle ground in wasting 80 percent of your employees’ time. Since teams are predominantly cross-functional in design, most new leaders concentrate on developing their technical and systems knowledge in order to hold their own when they present solutions for discussion. Gostick and Elton argue that this is the wrong approach. The factors that are the most disruptive are in the soft-skill areas of employee management. Generational differences and fragile egos can undermine any team with something as simple as a decision or comment that is perceived as disrespectful or inconsiderate. Understand Generations. Recognizing the different needs of each generation is critical to creating productive harmony. Millennials, for example, appreciate greater flexibility in their work schedule but also need more recognition from their bosses than older workers do. Manage to the One. To avoid making oversimplifications about the generational divide, make sure individual team members are engaged and have a clear career path in the organization. Challenge Everything. Harmony should not be promoted at the expense of vigorous debate. 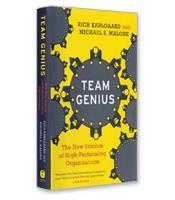 The authors propose “the radical effect” of assigning one team member to deliberately challenge any assumptions in order to check the process and avoid groupthink. Don’t Forget Your Customers. 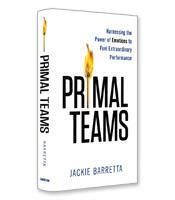 Paying too much attention to internal team dynamics to keep things running smoothly will divert the focus away from customers and undermine any chance of a successful outcome. The authors support their research with a wide range of case studies. Canadian astronaut Chris Hadfield, for example, led a multigenerational team of Russian and American specialists while “sitting in a tin can far above the world.” The team was responsible for mission support 24/7, and team members were located on opposite sides of the globe. The pre-work that Hadfield put into building a unified team is documented in detail, but the most notable factor is the “unwritten rule” that he credits as being the most impactful. Every single day of the five-month mission, each team member had to undertake one random act of kindness, often anonymously, for another member. 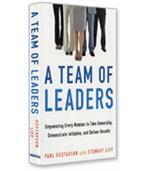 The Best Team Wins presents a refreshing perspective on successful team leadership. 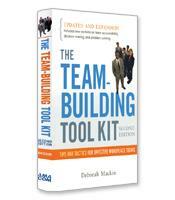 The authors acknowledge the team apparatus for what it is –– a highly dysfunctional and potentially destructive mechanism that can, in the right hands, be transformed into an engaging and creative source of employee productivity.